Do you need this invitation for an online digital invitation site (such as evite)? I can make this the size need for that. - All copyrights and trademarks of the character images used belong to their respective owners and are not being sold. rbcreations does not claim ownership of these characters featured in our designs. Excellent!!! Beautiful invitation and amazing customer service. An absolute pleasure to work with and a stunning result! 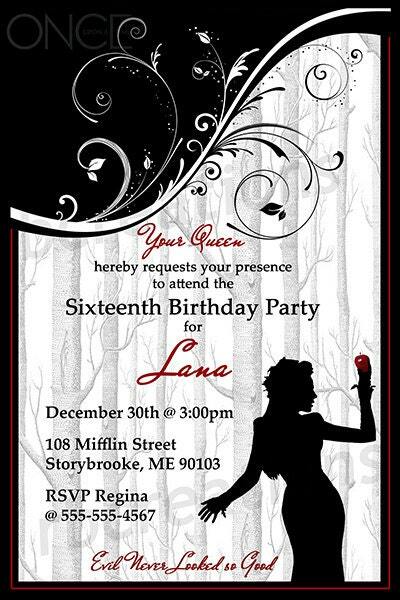 Invitations are so gorgeous! I will definitely use you again for any other party/invitation needs! THRILLED!!!!! I am a new divorcee and used these invitations for my divorce party. They were so helpful in changing the words for me! These ladies are super!!!!!!!!! My heading said "She divorced the Bad Apple and is now Queen of her Castle!" Fun yet classy! Just what I wanted! They helped make my fun themed Halloween Witch divorce party a hit!!!!!! I found a lot of places only print 5x7 if you are not printing them yourself at home. 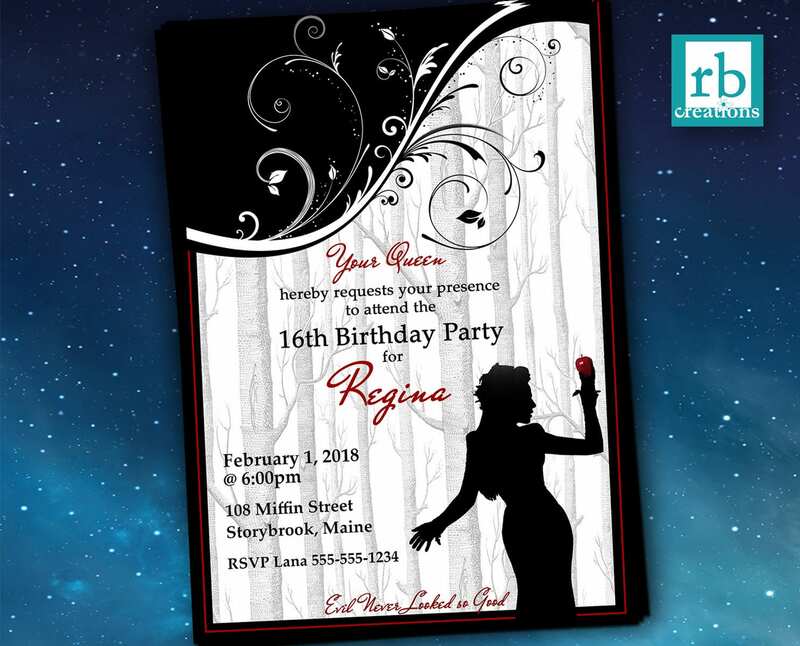 My invitations were beautiful!!! !